This past Veterans Day for 2018 was a special one as U.S. 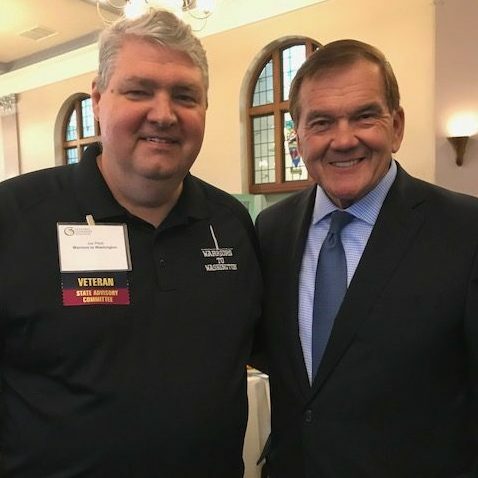 Congressman Mike Kelly recognized Joe Pfadt, WtW President, in a Congressional Proclamation. 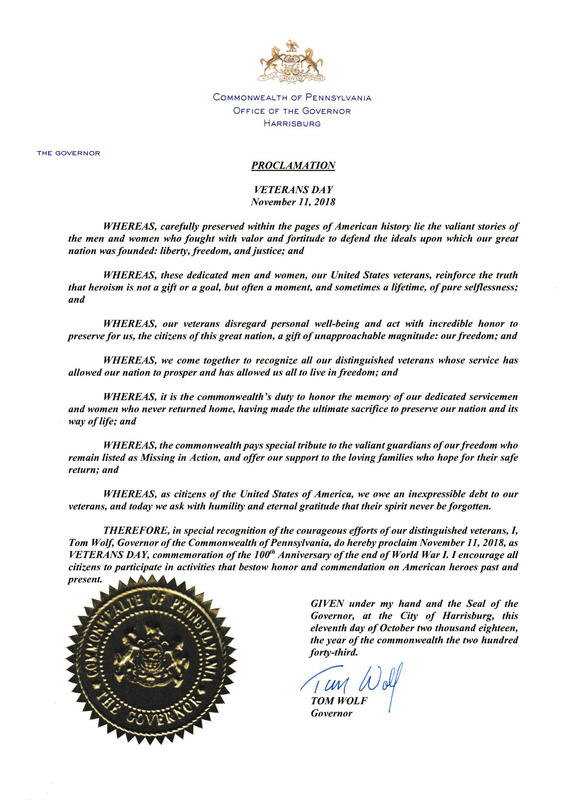 This proclamation also recognized all of the hard work performed by Warriors to Washington. 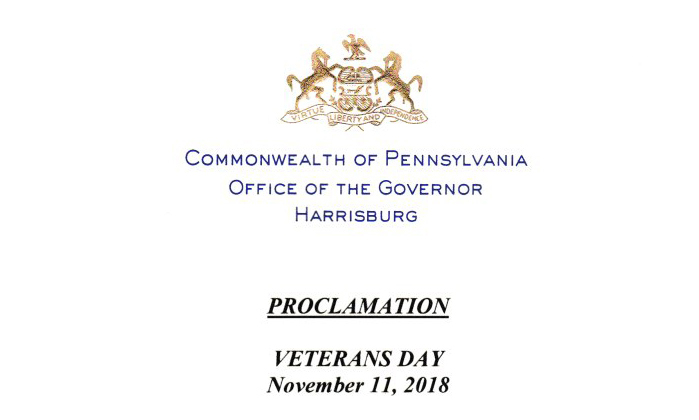 Governor Tom Wolf issued a proclamation of his own recognizing the many sacrifices and dedication of our nations veterans.